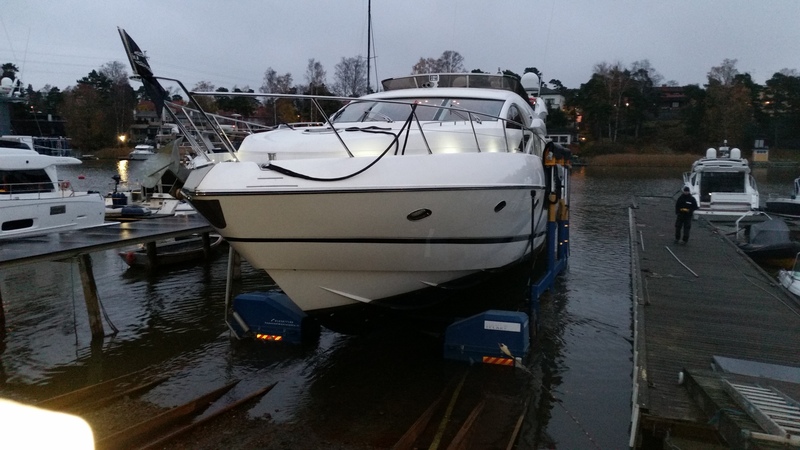 Hopesalmentelakka Oy in Helsinki, Finland operates several boat hoists. 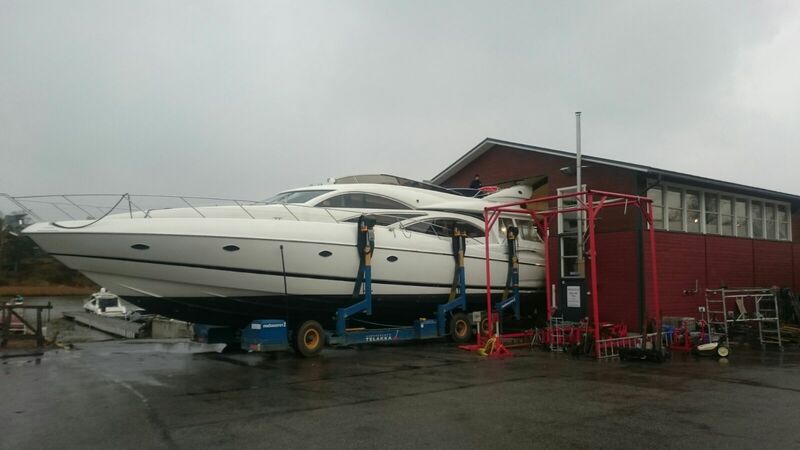 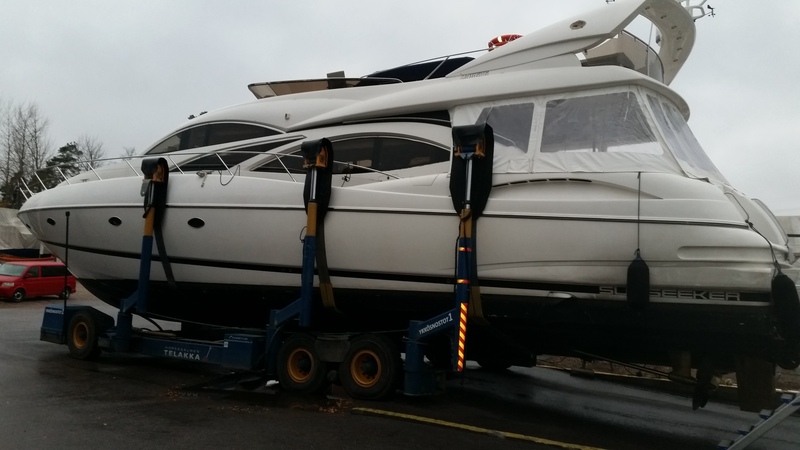 These pictures show how a Sunseeker 74 is taken out from the water and put into a shed for winter storage with a Sublift 40 ton. 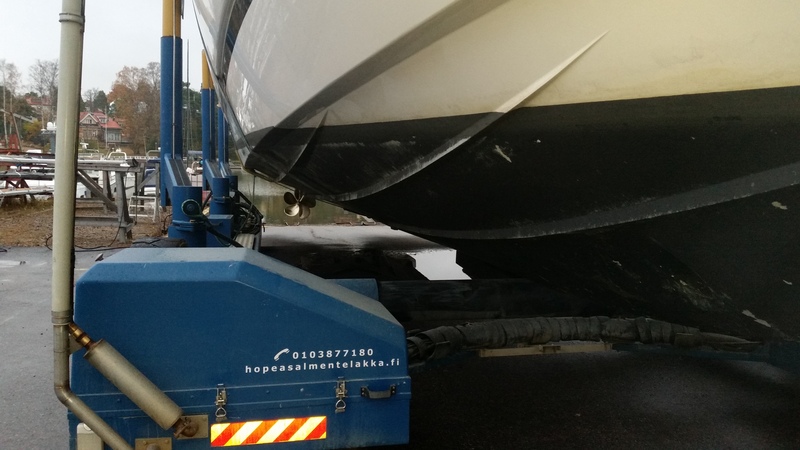 Sublift is the professional, safe, compact, self-propelled and submersible slipway boat hoist for Yacht Clubs and Marinas.